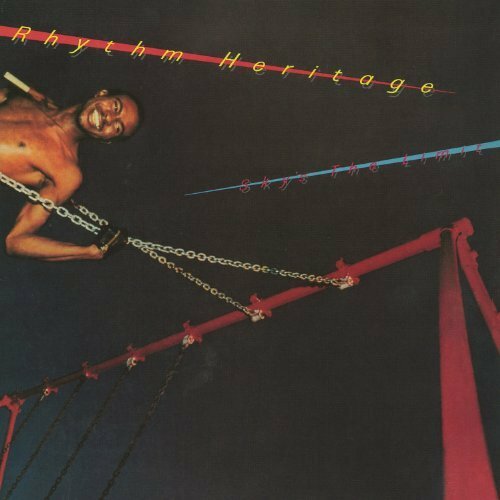 For many folks, the studio conglomeration known as Rhythm Heritage was a one-hit wonder, easily forgotten. Their 1975 single "Theme From S.W.A.T." topped both Billboard's Hot 100 and Cash Box's Top 100 singles charts at the end of February 1976 in the midst of spending nearly half a year on the charts. The song, a disco-fied version of a theme from a popular television show at the time, also surprisingly charted on the Easy Listening chart peaking at Number 6 and even more surprisingly, only made it up to number 11 on the Hot Soul Singles chart while completely missing Record World's Disco File charts, despite a "Special Discotheque Release" for the clubs. 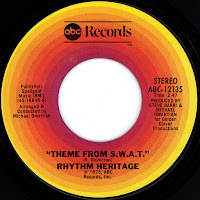 What few record buyers noticed back then was that there were two different versions (excluding label and international variations) of "Theme from S.W.A.T. 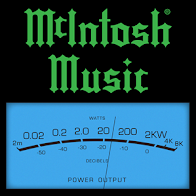 ": a 4:07 "long" version (the same as "Special Discotheque Release") that exceeded the album's 3:21 cut and a "short" 2:47 version that was most often heard on the radio. 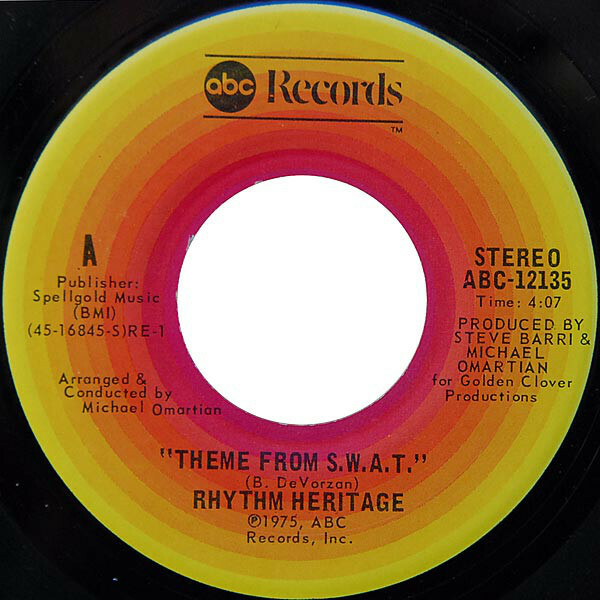 Depending on when and where you bought you single, you got either the "long" or "short" version of "Theme from S.W.A.T." with the non-album b-side "I Wouldn't Treat A Dog (The Way You Treated Me)". 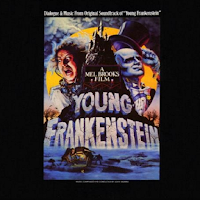 My research leads me to believe the 2:47 version was the initial pressing with the 4:07 iteration coming later with a tell-tale RE-1 added to the matrix number. 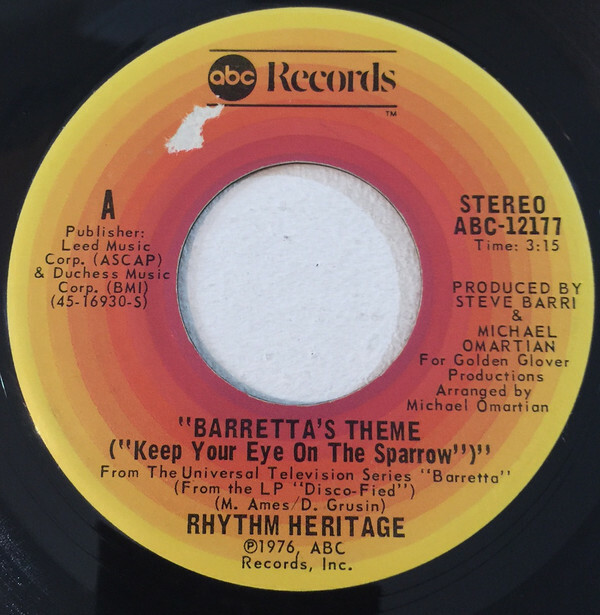 A later 45 on the Goldies label (ABC's reissue imprint) features the 4:07 length. 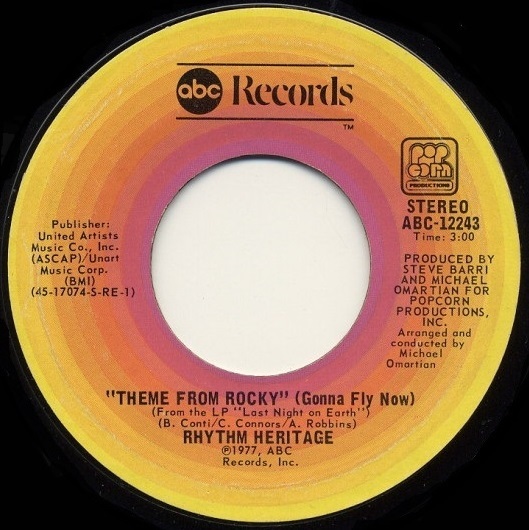 And an even later re-issue on the MCA label, which bought ABC in 1979, is identical - both have the later release "Theme from Rocky (Gonna Fly Now)" on the flipside. 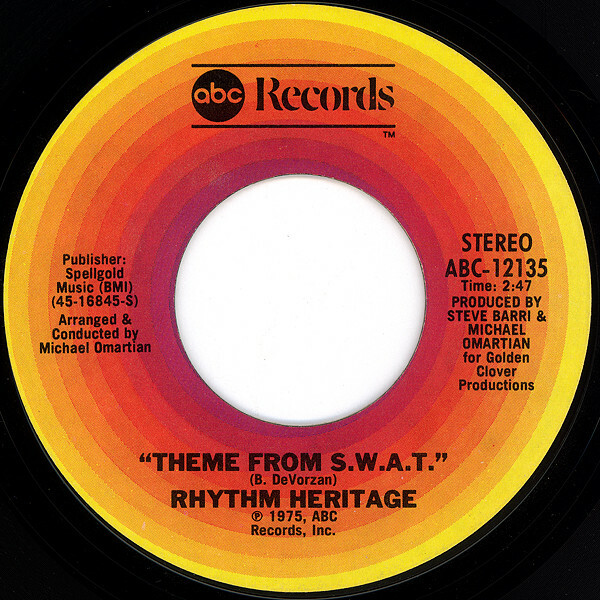 "Theme from S.W.A.T." 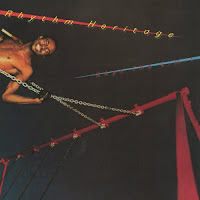 was not Rhythm Heritage's first appearance nor would it be their last. 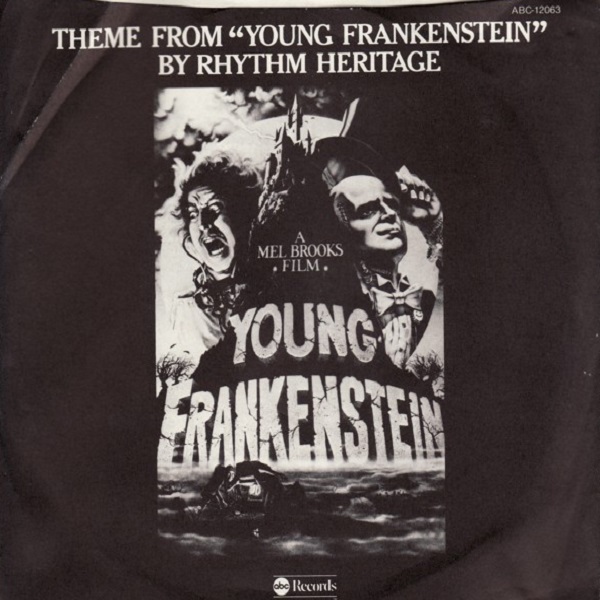 The group first appeared earlier in 1975 with "Theme from Young Frankenstein" was released as a single from the soundtrack album with "I Wouldn't Treat A Dog (The Way You Treated Me)" as the b-side. 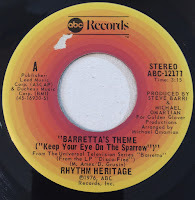 (As mentioned above, that song was also later the b-side of Rhythm Heritage's second single.) While vinyl copies of the album are easy to find affordable, the rare 1997 CD release on the One Way label is highly sought after and commands ridiculously high prices. 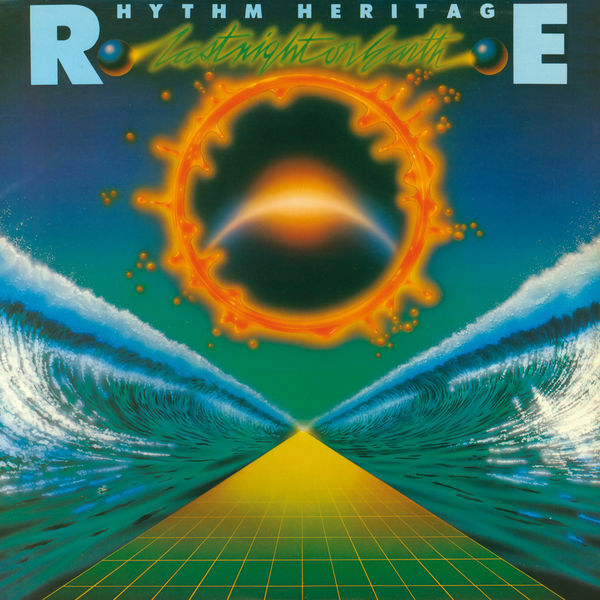 Last Night On Earth, Rhythm Heritage's sophomore album, was released in February 1977 and was recorded with a slightly altered line-up of session men with Jay Graydon taking over primary guitar duties backed by Bob Walden on rhythm guitar. The album's first single was the band's take on the red-hot "Theme from Rocky (Gonna Fly Now)" which got lost on the charts amid competition from versions by Maynard Ferguson, Current, Henry Mancini and the original from Bill Conti, a Number One smash. Last Night On Earth didn't fare well on the album charts, peaking at number 138 in a brief six-week run. 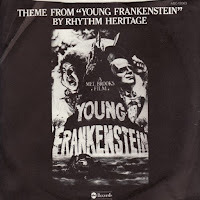 A second single, not found on the album, was a return to television theme songs after their failed flirtation with a theme from the Silver Screen, was released in May 1977 though it wouldn't chart until four months later. 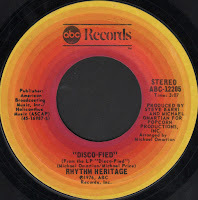 While "Theme from Starsky & Hutch", written by former group member Tom Scott who left after the first album, loitered on the Soul and Easy Listening charts longer than the preceding single though it failed to chart much higher and completely missed the Hot 100. 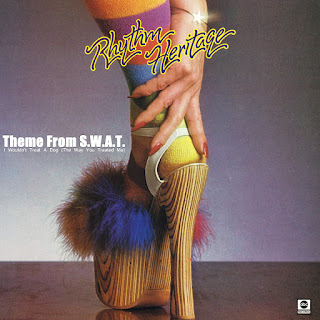 "Theme from Starsky & Hutch" appeared on Rhythm Heritage's third album Sky's The Limit which did even worse on the albums chart than its predecessors. The group's lineup remained intact from Last Night On Earth and though I find it their most listenable album start to finish, only two singles were released and only the first made the charts: "Holdin' Out (For Your Love)" spent just over a month in the bottom ten positions of the one hundred on the Hot Soul. The second single "Sail Away With Me" was aimed straight for the disco clubs and released in a special 7:06 extended version on a promo twelve-inch single. 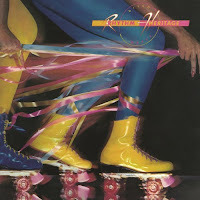 The group released a fourth album in 1979, a full disco effort with a new lead vocalist though otherwise, membership remained stable. Disco Derby failed to chart and no singles were released. Only these last two albums have ever been released on compact disc, though Geffen released all four albums digitally in 2014. The group, which apparently only existed in the studio never making any sort of public appearances or performances, disbanded in 1979. 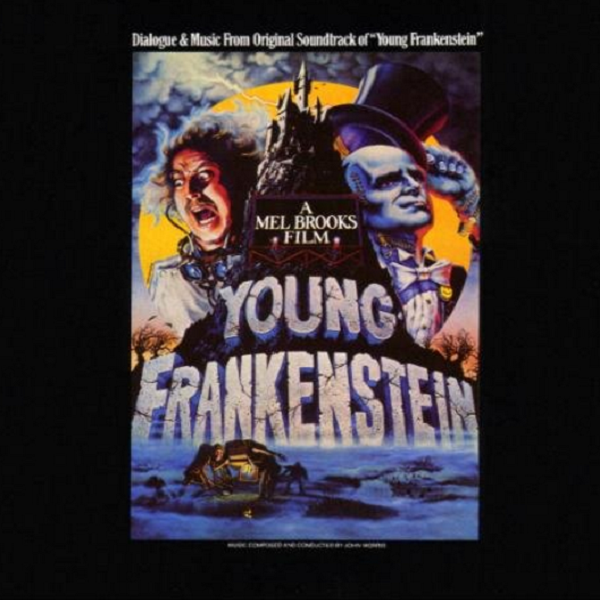 This three-disc collection represents their complete recorded output from 1975-1979. Disco-Fied was the first album I bought with my own money solely because "Theme from S.W.A.T." was sold out and I had to have that song. This collection came to me in a dream last night and I awoke this morning to make it a virtual reality. 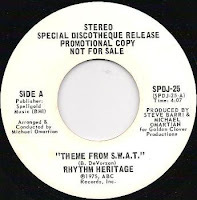 tags: 1975, 1976, 1977, 1978, 1979, disco, Funk, Jay Graydon, jazz, Rhythm Heritage, Theme from S.W.A.T. Wow - I never knew the depth of RH's discography. 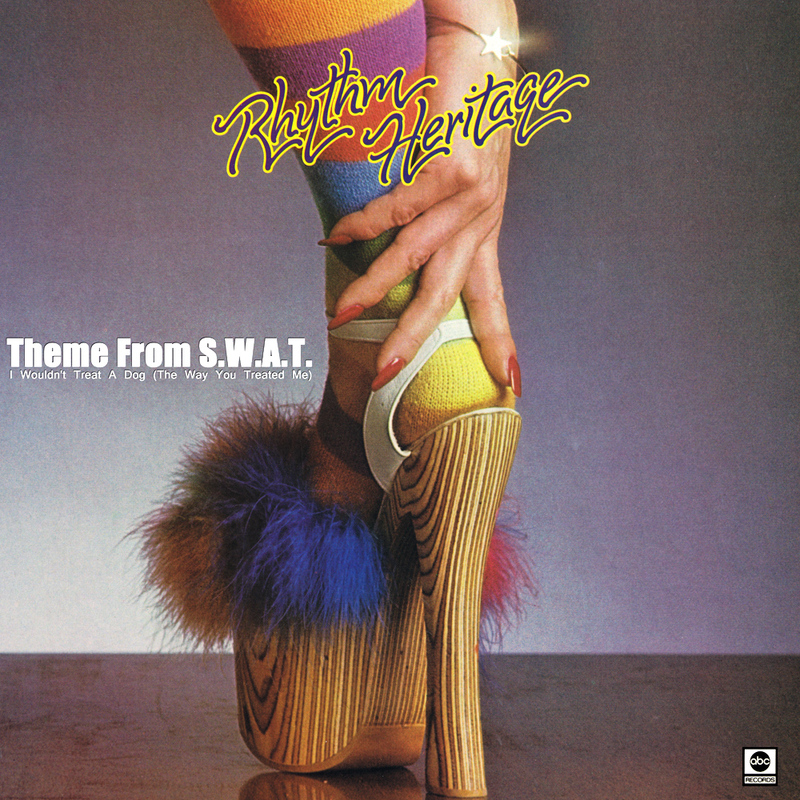 As you would expect, I only have the SWAT theme in my library and it is the woeful less than three minute version.